Mike "The Savage" Kimbel "More Than A Local Legend"
This week on Pure EVil MMA Podcast, EVil Eddie is joined by Bellator’s Mike Kimbel who is coming off an impressive first round win that came inside the first 90 seconds at Bellator 194 fight card. 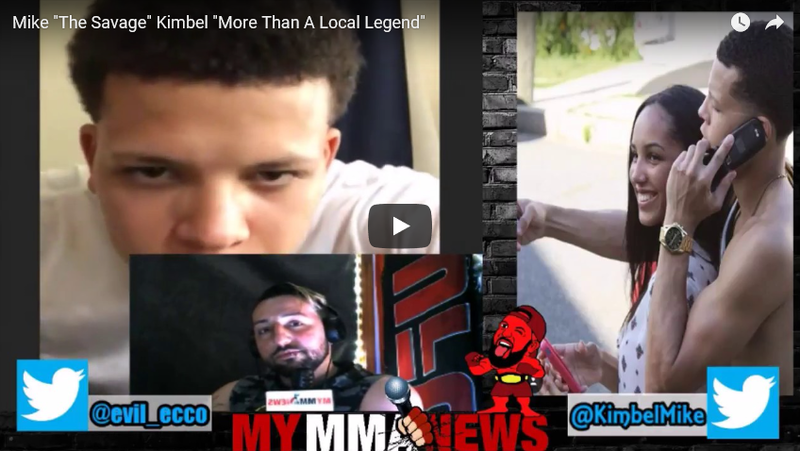 “The Savage” Kimbel has some stand offish comments for some of the local talents around Connecticut and is insistent that he has outgrown the local scene and ready for that next step forward. Dillon Danis is brought up along with the benefits of cross training at different gyms and constantly challenging yourself. He shares a fun one up game that he does on his Instagram page with fellow best friend and fighter Jesse “James” Kosakowski, where they jump incredible heights on one foot while looking slick. Finally it becomes apparent towards at the end of the show that Kimbel keeps it 100 percent and speaks what’s on his mind, with no filter. He is well thought out and very educated on the sport of MMA and what it takes to stand out and keep the gears flowing in your career. Lastly he shares how he gets hyped when training and gives us a song to check out ( “The Ride” By Madeyouso).